Great people at this VW shop. The service staff were amazing including Patricia. Also, the service supervisor did a test drive with me and was patient to finally re-create the noise from my car - The service manager, Ivan even personally drove me home while my car was in. You can tell this place tries hard to provide a great customer experience. Highly recommended! Excellent service and the people are always so helpful! I love my new Atlas from Northland VW. I had a great experience, Darrel was very helpful and genuine. Thanks so much Darrel and team! These guys have been taking care of me and my vehicles since I started driving four years ago. They are always fantastic, would not take my care anywhere else. We arrived at Northland VW at lunch on a Friday to test drive a car, and were owners by closing time that night! We had the pleasure of working with Ryan Slattery, and he and his team were very helpful in answering all our questions, and ensuring we were getting the best value. We were very impressed by VW extended warranty options, and look forward to becoming part of the Northland VW family now that we own a VW Atlas! Matt DaSilva was amazing I got my first VW from him and now my new GTI. He is professional incredibly knowledgeable and passionate about VW. Very easy to speak with and very much a trusted advisor. Exceptional service from everyone there. From initial contact to follow up service, Northland Volkswagen has surpassed our expectations at every stage. Every single person we dealt with was friendly, knowledgeable, efficient and customer-focused. 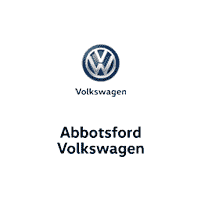 After experiencing other brands these last few years and continually being disappointed and dismayed at the lack of service and lack of customer focus, we are back to Volkswagen for good!